Sometimes it can be a need, sometimes luxury while sometimes just style statement; whatsoever it might be, an SUV is certainly a hunk’s requirement to boast. SUV is also preferred due to its adaptability in rough terrains and larger load carrying capacities. If you are looking for a change or searching for a new variant in the SUV section, then here is good news for you. The automobile giant Hyundai is expected to launch the most awaited Facelift version of Creta SUV within May 22, 2018. The large radiator hexagonal grille which enhances the style statement of the SUV. The new chunky front bumpers with creases and separate housings for fog lamps. A thick black chin lining to add on to the muscular look of the SUV. The chrome surrounds to make it glow. 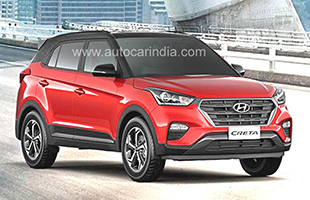 The Creta Facelift being built on the same platform as HB20 will share similar parts and assembly techniques.  Its exteriors make it a global version of ix25 SUV. The new Creta Facelift will be available with 90 HP – 1.4l diesel, 123 HP – 1.6l petrol, 128 HP – 1.6l diesel engines, as they were available in the earlier model. No prominent or effective change is done on the mechanical front. The 1.4l engines will be coupled with manual gearbox while the 1.6l engines will have a combination of manual and automatic gearbox. USB Charging feature for the Petrol variant. Reverse camera and Parking Sensors. The attractive features of Hyundai Auto link, ECM and AVN infotainment in the automatic gearbox versions is completely updated. These updated features ensure better entertainment and connectivity while you are on the ride. A multifunctional steering wheel with mounted controls with a central console powering a seven-inch touch screen infotainment system is of high-level grades. Although the power train remains almost the same, yet the interiors and exteriors mark a difference on Hyundai Creta Facelift. After the launch of Hyundai Creta SUV in 2015, this is one of the best products to be launched by Hyundai. As far as fuel efficiency is concerned, with the same engine and power train assembly as existing version, a better fuel economy can be expected. The fuel economy ranges from 17 kmpl to 22 kmpl vividly for the different Creta Facelift variants. The upcoming Hyundai Creta Facelift measures 4270mm x 1780mm x 1627mm as length, width and height respectively. It is having a wheelbase of 2590mm with 402 litres of boot space. The ground clearance is of 190mm and a 60 litres fuel tank capacity. Along with its dual tone variant, Hyundai Creta Facelift will be available in Polar White, Phantom Black, Mystic Blue, Red Passion, Sleek Silver, Pearl Beige and Stardust shades. The rice of Hyundai Creta Facelift is expected to be Rs. 9.3 lakh for its entry level 1.6E petrol model. Its higher models are expected to touch the Rs. 15 lakh ceiling. Advance booking for the new version has started. With training sessions being imparted to dealerships, the New Hyundai Creta Facelift is ready to be launched.